It’s highly likely that you’re going to be recording guitars for some of your tracks. A well recorded guitar can sound amazing and sit in a mix without any effort, fitting a badly recorded one into a mix can be as hard as trying to nail jelly to a wall. 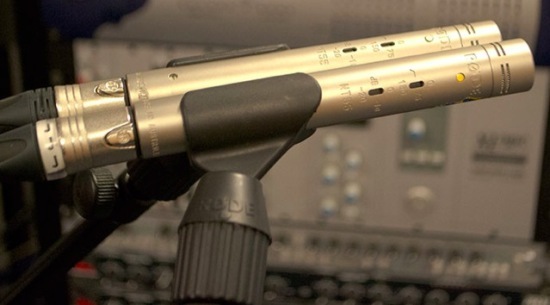 Here are 5 ways to improve your guitar recording that won’t cost you a penny. You may think this may be stating the bl**ding obvious but tuning is essential not once but many times during the recording process. I have a Telecaster that has a mind of its own with tuning, so it requires tuning several times during a tracking session. Check the tuning before each take and especially before any drop-ins on a track, missing this one will cause you a serious headache. If you are new to recording then you may be unsure where to put the microphone, depending on where you place the microphone the sound changes for both acoustic guitars and electric guitar amps. If you ever visit a top studio or see a top engineer in action then don’t be surprised to see them moving the mics around and listening to the sound they get from them. If you are at home and in the same space as the microphone then put on some headphones then listen to the sound change as you move the mic around. If you can’t do this then do several recording takes of the mic in different positions and then listen back to them. Use a reverb with a small room setting. Use a convolution impulse response, however you will need something to host the response like Recabinet, or if you have Structure then you can use Structure to host an impulse response. Throw a mic in front of a speaker in a room and then re-record the signal… really. Faking the space makes a huge difference especially with electric guitars, so give it a try. A popular trick when recording guitars is to record several parts, although sometimes people don’t know when to stop and then you have the problem of trying to sit 30 guitar parts into a mix, I find the mute button a help on these occasions. However, simply recording the same guitar part twice and then panning them will give you real double tracking and it sounds awesome. It’s especially helpful when recording acoustic albums as it adds width and space to a mix and makes it much easier to sit the vocals in the centre of the track. Moving on from simply recording the same guitar part twice, the real magic comes when you mix up the playing and the tuning. I often record two acoustic guitar parts but on the second pass I’ll use a capo to change the sound of the second guitar. An open G sounds a lot different to a G played in a D shape with a capo on the 5th fret. Another trick I do is to do an entire pass of simply recording the rhythm of the strum with the strings muted with the palm of my hand. Another nice trick is to do a pass of a rhythm guitar where one of the parts is simply a single open strum on the first beat of every bar. Finally open tuning makes a huge difference to the sound too, this is used a lot in country recording. If you want to hear a masterclass in guitar recording using several of these tricks then listen to ‘I Want It Back’ on the album ‘A Few Small Repairs’ by Shawn Calvin. 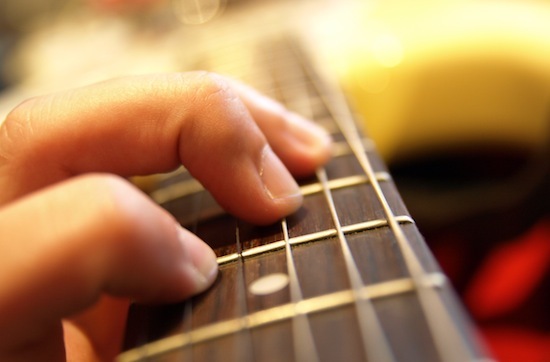 So there we are, 5 ways to improve your guitar recordings without spending a penny. Often the problem with some people’s recordings is not a lack of money just a lack of imagination. If there’s a trick we’ve missed then add it to the comments below.